Sunrisers Hyderabad – The opening duo of Warner and Bairstow are in red-hot form. Nabi, who replaced Williamson, has picked six wickets in two matches (economy rate: 4 and strike-rate: 5) and he showed his prowess with the bat as well against Delhi Capitals. And, their fourth overseas player – Rashid Khan is certainly undroppable. “If it ain’t broke, don’t fix it,” is a popular adage. The Sunrisers, who have won three in a row, hardly broke a sweat in their last two matches having fielded the same team. It will be interesting to see if and when Williamson is fit, how the management slots him into the eleven. Mumbai Indians will miss the accompany of Lasith Malinga (upto the next three matches) due to the Super Provincial One Day Tournament, Which is a domestic competition in Sri Lanka. He flew back to Sri Lanka after the fixture against Chennai Super Kings. Malinga Shows High Consistancy in Performance. Malinga took part of 2 matches in two different countries within a span of 24 hours. He ended with a combined bowlings figures of 10/83. Malinga is expected to be replaced by Mitchell McClenaghan. Rohit would have been pleased with Pollard’s performance. The Trinidadian, whose spot in the XI was under scanner, hit two massive sixes with the bat and also pulled off a screamer in the field to dismiss Suresh Raina. The customary leg-spinner’s spot will be a toss up between Rahul Chahar and Mayank Markande, depending on the latter’s fitness. While Suryakumar Yadav and Krunal Pandya made significant contributions in their previous outing. Latest IPL, T20, ICC World Cup Online Daily Fantasy Sports Cricket League News Updates and Tips, Dream11 Predictions and Match Previews, IPL Fantasy Cricket Apps News Exclusively on Amaravathi News Times. Vivo IPL 2019 SRH vs MI 19th Match Cricket News Updates. 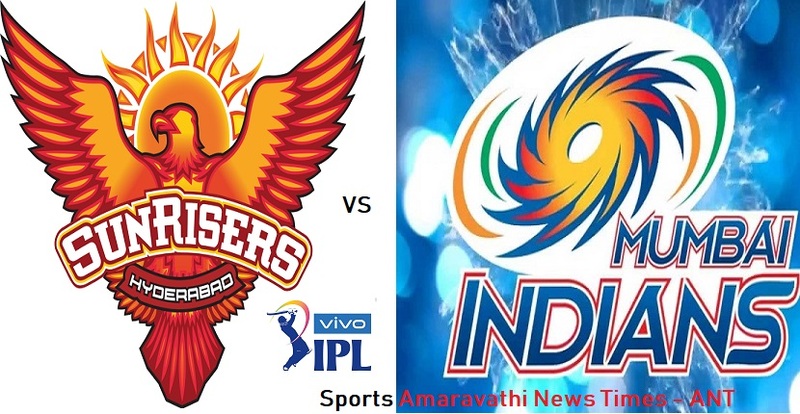 Vivo IPL 2019 | Sunrisers Hyderabad(SRH) vs Mumbai Indians(MI) 19th Match Cricket News Updates | Indian Premier League 2019.